The highlight on day two of the Colonial Athletic Association men’s and women’s Swimming and Diving Championships came from the William and Mary men, who swept the top three spots in the 50 free and set a new record in the 4×50 free relay. Towson’s Jack Saunderson also set a new meet mark in the men’s 200 IM. After two days of competition, William and Mary is in first on the men’s side with 299 points, followed by Drexel (233), Towson (209), UNCW (202) and Delaware (148). James Madison had a strong second day to lift themselves into first on the women’s side with 231 points, followed by William and Mary (219), Towson (213), Northeastern (196), Drexel (152), UNCW (139) and Delaware (88). William and Mary’s Megan Bull cruised to first by nearly three seconds in the meet’s first individual event. The rookie touched the wall in 4:46.92 en route to earning her first CAA title. James Madison’s Quinn MacMillan was the only other swimmer under 4:50, posting a final time of 4:49.88. Drexel’s Tanja Kirmse placed third in 4:50.47. Towson’s Karlee Carminati (4:51.96), William and Mary’s Morgan Smith (4:52.01), James Madison’s Julianna Jones (4:52.28), Towson’s Sarah Margaret Locke (4:52.82) and William and Mary’s Maria Oceguera (4:53.97) rounded out the A-final. Drexel’s Patrick Cobb swam away with the men’s 500 free title, winning the event in 4:23.58. The junior dropped nine seconds from his entry time coming into the meet and his swim tonight meets the NCAA B standard. Second place went to William and Mary’s Carter Kale, who stopped the clock in 4:26.72. Kale’s teammate Eric Grimes took third in 4:26.72. Delaware’s Kevin Basch (4:27.27), Towson’s Evan Brophy (4:31.49), William and Mary’s Christopher Pfuhl (4:34.12), William and Mary’s Ian Bidwell (4:34.93) and UNCW’s Jack Cosgrove (4:37.41) completed the top eight. Matilda Weiler was the second first-year to win an individual CAA title this night, claiming the 200 IM in 2:00.83. The Northeastern Huskie, who entered the meet as the third seed, dropped nearly three seconds for the gold. Towson’s Kendall Krumenacker grabbed the silver in 2:02.06 while William and Mary’s Shannon Harrington earned the bronze after posting a time of 2:02.43. James Madison’s Megan Marsh (2:02.90), Drexel’s Gab Rudy (2:03.28), James Madison’s Paige Assaid (2:03.80), William and Mary’s Julia Bland (2:04.93) and Drexel’s April Forsthoffer (2:05.65) also swam in the final heat. The men’s 200 IM was a close battle, but Towson’s Jack Saunderson used his strong freestyle leg to pull ahead at the end. The junior won the event in 1:45.76, a new CAA meet and all-time record. Drexel’s Jason Arthur took a close second in 1:45.99. William and Mary’s Ben Skopic finished third in 1:46.36. William and Mary’s Jake Kealy (1:49.00), UNCW’s Josh Rigsbee (1:49.50), Towson’s Colin Roddy (1:49.83), William and Mary’s Conrad Zamparello (1:49.99) and Delaware’s Patrick Savidge (1:50.89) rounded out the top eight. Towson’s Emily Wilson dove to first on the 3-meter board with a score nearly 20 points higher than the runner-up. The junior finished with a final score of 292.25. James Madison’s Hope Byrum improved upon her prelims score to take second with 277.95. Towson’s Kelsey Jehl took third with a score of 275.60. Northeastern’s Jacquelyn Gover (273.00), James Madison’s Faith Anderson (271.40), James Madison’s Emily Gross (267.25), Northeastern’s Alyssa Seales (261.15) and Northeastern’s Caroline Gonsalves (215.55) also dove in the final flight. After anchoring Northeastern’s 4×50 free relay last night in a blistering 21.75, Megan Clark won the individual 50 free title tonight with an equally-impressive 22.38. Her time was only .08 off the meet record and marks the sophomore’s first career CAA individual title. 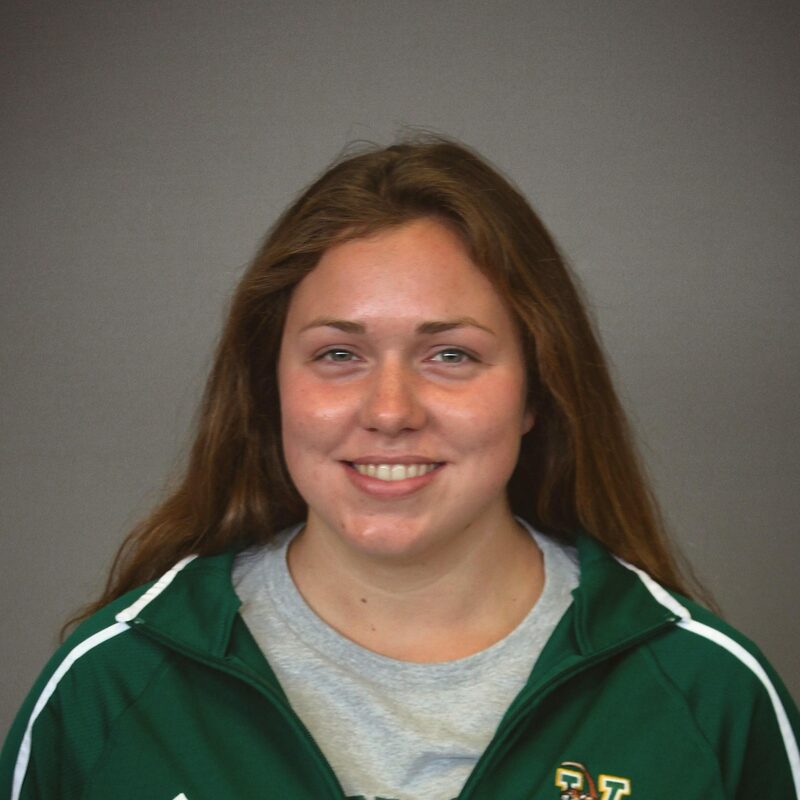 William and Mary’s Annie Miller (23.06), William and Mary’s Katie Sell (23.18), Towson’s Caitlin Manthe (23.21), Drexel’s Alexa Kutch (23.30) and James Madison’s Jillian Breeger (23.32) completed the top eight. William and Mary’s Colin Wright led the way to a Tribe sweep in the men’s splash-and-dash. The sophomore sprinted his way to a final time of 19.76. Two of Wright’s teammate and classmate followed him; Ian Thompson took second in 19.92 while Jack Doherty finished third in 20.12. UNCW’s Sean Cannon (20.30), Towson’s Matthew Essing (20.37), Drexel’s Stathis Malamas (20.46), UNCW’s Tom McGovern (20.65) and William and Mary’s Tommy Kealy (20.72) also swam to a top-eight finish. The final women’s event of the evening proved to be a close battle: the top three finishers were within a quarter-second of each other. James Madison’s Breeger (23.26), Zhang (22.37), Mackenzie Gring (23.16) and Sydney Kirsch (23.08) combined to win gold in 1:31.87. Northeastern’s Clark, Lena Spear, Sidney Smith, and Weiler finished a close second in 1:32.00 while UNCW’s Shannon Howell, Faith Pilcher, Meghan Lahr and Arsenault took third in 1:32.12. After a podium sweep of the individual 50 free, it’s no surprise that William and Mary took home gold in the final relay of the day. Wright, Thompson, Doherty and Kealy finished with a final time of 1:18.95, a new CAA meet and all-time record. UNCW’s Jon Suits, Jack Cosgrove, Tom McGovern, and Cannon finished second in1:20.67 and Drexel’s Malamus, Arthur, Cobb and Kiran Richardson took third in 1:20.88. 1 W&M-VA  'A'                   1:20.93    1:18.95!